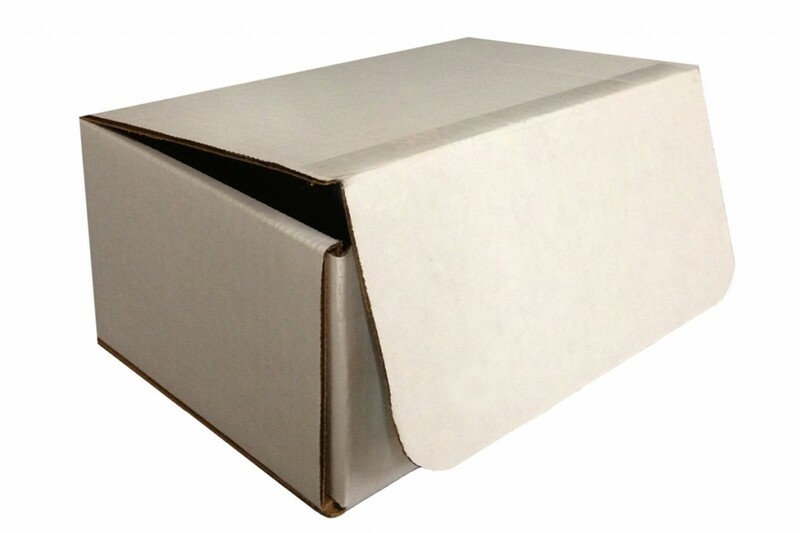 A simple cardboard box. Cremated remains will be enclosed in a plastic bag. 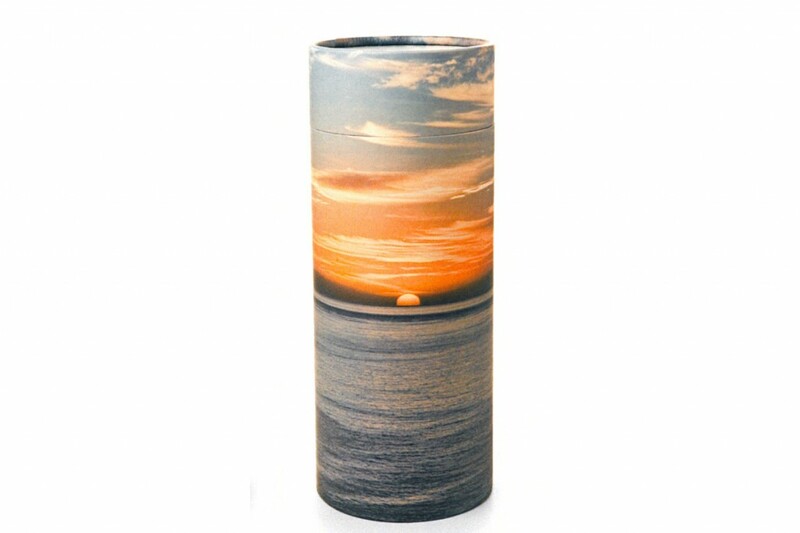 This durable cylinders features a convenient removable lid with a perforated “push in” tab that opens easily prior to scattering. It is designed to make the scattering process dignified and simple. 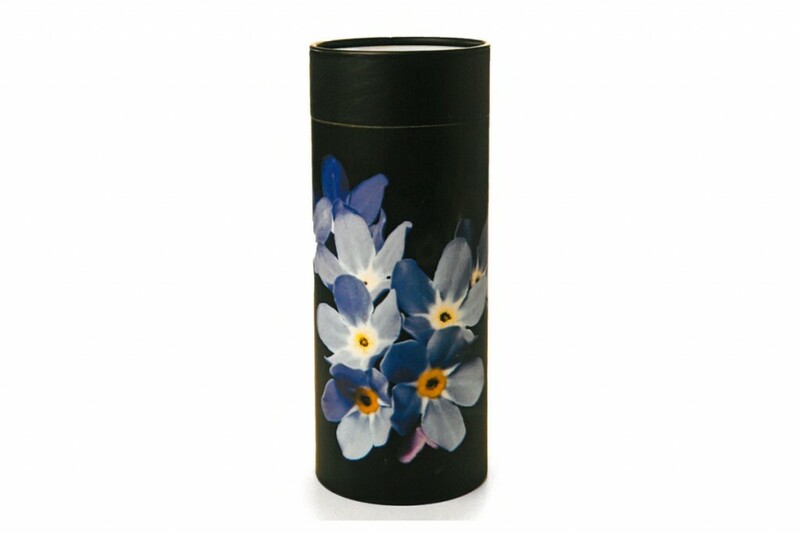 It does not contain metal or plastic and can be recycled or composted after use. 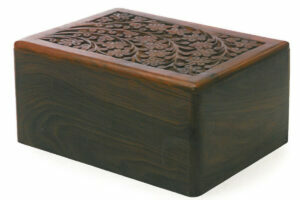 Sheesham wood is related to North American rosewood. 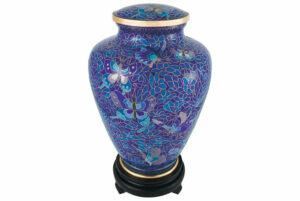 This urn has an ornate hand carved top. It is suitable for interment in a cemetery, columbarium, or keeping at home. An environmentally friendly urn constructed of bamboo. 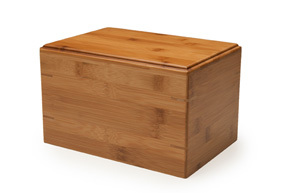 Bamboo is a sustainable resource that is the fastest growing woody plant on earth. This urn offers a traditional appearance and is suitable for interment in a cemetery, columbarium, scattering, or keeping at home. 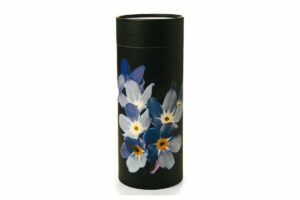 Handcrafted from copper with a hand applied enamel finish and vibrant colours. 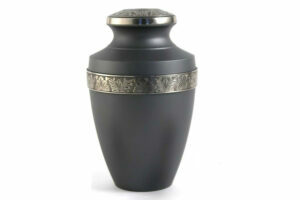 Popular for people who wish to keep the urn at home.